Since the number of divers travelling abroad in search of new and exotic locations in which to dive is on the increase, there is a growing need for information about health protection in these foreign countries. We all look forward to our trips abroad but the experience can be spoiled if we become unwell whilst away. 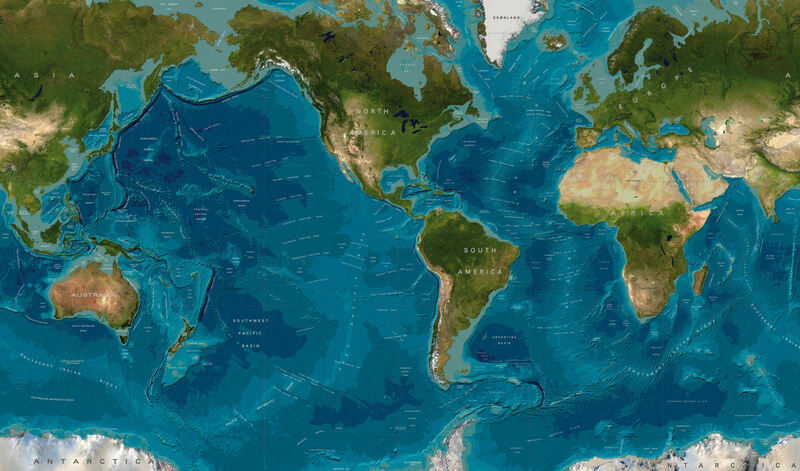 However, most (but not all) of the world's exotic dive locations are located in and around the tropics and are accessed via developing countries, where there are endemic health issues and the standard of healthcare is often below that of the UK. There is therefore a risk of contracting a more serious illness like malaria, yellow fever, typhoid, hepatitis, etc. so it is vital that travellers take certain precautions before, during and after travel. It may also be necessary to be protected against certain diseases by vaccinations prior to travel or by taking tablets during and after the trip. The table below contains information about vaccination requirements and malaria prophylaxis for travellers going abroad and contains most of the countries likely to be visited by divers going on diving holidays and expeditions. In addition to malaria tablets and the various vaccinations required, persons travelling to developing countries are strongly advised to carry a medical kit containing a number of medical and first aid item. Most reputable dive operations will carry a first aid kit and basic medical items in addition to oxygen for diving accidents at the dive centre or aboard their charter boats. It may be worth checking with the tour operator before travelling. The list of countries in the table below is by no means exhaustive and should only be used for quick reference purposes. The data in the table only applies to healthy adults. Travellers will need to consult their own doctor to arrange to have the relevant vaccinations. The advice in the table is for travellers visiting a single country and arriving directly from the UK. It is intended for use by persons planning a short stay i.e. less than three months. Specialist advice should be sought by persons intending to live abroad for long periods or for persons travelling between countries. For long stays (over three months) and for trips to remote areas, vaccines not mentioned below such as Rabies, Diphtheria or Hepatitis B may be required. The information is not designed for use by pregnant women, nursing mothers, children or persons suffering from epilepsy or any other chronic condition who should consult their doctor before taking malaria tablets. No particular immunisation or malaria prophylaxis is required for direct travel to Europe, U.S.A., Canada, Australia or New Zealand. However travellers should be advised to make sure that they have had a tetanus booster within the previous ten years. Malaria tablets should be started one week before entering the malarious zone, taken throughout the duration of the stay and continuing for at least four weeks after return without fail. All tablets should be taken with or after food, preferably with the main meal of the day. No prophylactic tablets required but anti mosquito measures such as insect repellents, mosquito nets, long sleeved clothing, etc. should be strictly observed. Patients with a history of psychiatric disturbances (including depression) should not take mefloquine as it may precipitate these conditions. It is now advised that mefloquine be started two and a half weeks before travel. No other tablets are required with mefloquine or doxycycline. Mefloquine can be taken for periods up to one year, doxycycline should not be taken for periods longer than three months. Doxycycline does carry some risk of photosensitisation. Some forms of malaria can develop seven days after being bitten by an infected mosquito and others can incubate for even longer. Typical symptoms of malaria are bouts of high fever lasting several hours starting dramatically with shaking chills, subsiding with profuse sweating, and reappearing at regular intervals, most commonly every 48 hours. Anybody experiencing any of these symptoms (which could be confused with flu) within twelve months of returning from a malarious zone should seek medical advice immediately. Deaths have occurred in cases where where the symptoms have been ignored until it is too late! Sleep in screened rooms, using a fly killer spray to kill any mosquitoes that may have entered the room during the day. Use mosquito nets around the bed at night. Check that there are no holes. Tuck the net under the mattress. Wear long sleeved clothing and long trousers when outdoors after sunset. Light colours are less attractive to mosquitoes. Use repellents such as diethyl toluamide (DEET) on exposed skin or wear DEET impregnated wrist bands and anklets. Clothing and mosquito nets can be impregnated with a solution of 30ml DEET in 250ml water. die from Malaria every year. A: be Aware of the risk of malaria if you are travelling to a foreign country. B: avoid mosquito Bites by taking appropriate measures. Reducing the number of Bites reduces the chances of getting malaria. C: Comply with the appropriate prophylactic drug regimen for the area you are visiting. This is vitally important since failure to comply places you at great risk. Studies have shown that there is a reduced risk of contracting malaria even if you take the wrong regimen. 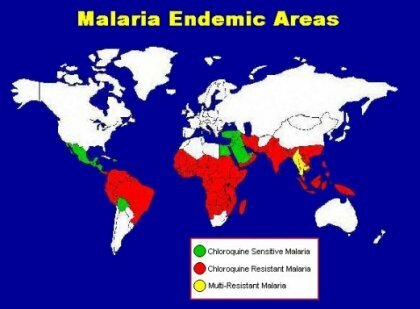 D: early Diagnosis of malaria if symptoms manifest following travel to a malarious region is vital. Malaria can be fatal but early diagnosis and treatment is usually 100% effective. Malaria is a disease which you can catch by being bitten by a mosquito carrying the malaria parasites in its saliva. The species of mosquito that carries the malaria parasites is the Anopheles mosquito. These parasites then enter your bloodstream and travel to your liver where they multiply and are released back into the bloodstream in large numbers which then invade red blood cells. They continue to multiply until the red cells burst releasing large numbers into the blood plasma causing the characteristic fever associated with the disease. This phase of the disease occurs in cycles of approximately 48 hours. The free parasites are then able to infect any mosquito that feeds on your blood during this phase. The cycle then continues as the parasites multiply inside the mosquito and invade its salivary glands. The malaria parasite is a microscopic organism called a Plasmodium and it belongs to the group of tiny organisms known as protozoans. 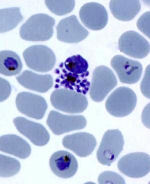 There are four types of plasmodium: P. falciparum (the most dangerous), P. vivax, P. ovale & P. malariae. Anybody travelling to an area where this mosquito is endemic is at risk of catching the disease. Lately there has been an increase in the cases of malaria reported in the UK - in 1993 there were 1922 reported cases in the UK, including five deaths. All caught the disease abroad and almost all cases could have been prevented. The original typhoid vaccine was given in two doses at intervals of four to six weeks and gave immunity for up to three years. 0.5ml was given by subcutaneous or intramuscular injection or 0.1ml by intradermal injection. This vaccine induced a mild form of the illness which could be very unpleasant in certain cases. Typhim Vi is a single dose vaccine where 0.5ml is given by deep subcutaneous or intramuscular injection. Immunity lasts for approximately three years. Vivotif is a live oral vaccine contained in an enteric coated capsule. The vaccine is taken as three doses of one capsule on alternate days. The capsules should be stored in a refrigerator between doses. Protection begins seven to ten days after the last dose. The Department of Health recommends administration of reinforcing doses after ten years, with the administration of further doses in the event of injuries that may give rise to tetanus. 0.5ml is given by deep subcutaneous or intramuscular injection. Poliomyelitis vaccine is recommended for long term travellers to areas which have a high incidence of the disease such as developing countries. Live oral vaccine is generally used. Three drops of the vaccine constitutes a single dose. Initially three doses are given at intervals of at least four weeks. Those who have been fully immunised in the past will only need a single booster dose every ten years if they intend to travel. Hepatitis A is associated with poor hygiene and sanitation. Havrix Monodose is an inactivated vaccine prepared from the hepatitis A virus. A single 1ml dose is given intramuscularly to give immunity up to one year. To obtain immunity up to ten years a second booster dose is given between six and twelve months of the original. Human Normal Immunoglobulin (HNIG) contains antibodies to Hepatitis A and will give protection for up to three months. 2ml of vaccine is administered by deep intramuscular injection. This is given as a live vaccine (0.5ml subcutaneously) at designated yellow fever centres where an international certificate of vaccination will be issued and is valid for ten years, from ten days after vaccination. The certificate may be required for entry into certain countries particularly in East Africa. It is recommended that the traveller carries the certificate along with his or her passport when travelling to countries at risk. Meningitis vaccine is recommended for travellers to areas where the disease is endemic such as most of Sub-Saharan Africa. Saudi Arabia requires vaccination of pilgrims to Mecca during the Hajj. 0.5ml of inactivated vaccine is given by deep subcutaneous or intramuscular injection. Immunity lasts up to three years. This is a rare but serious insect borne disease that occurs in most of the Far East and South East Asia. Vaccination is recommended for stays of longer than one month in rural areas during and just after the rainy season. The vaccine is issued on a named patient basis and is given as 1ml subcutaneously for immunity up to four years. Inactivated vaccines usually require one primary dose followed by one or more booster doses given at intervals of around four weeks. If time is short, a single dose will give some protection. Most inactivated vaccines can be given together safely; inactivated and live vaccines can also be administered simultaneously. When two live vaccines are required, they should be given either simultaneously at different sites or with a gap of at least three weeks. Oral polio vaccine should not be given at the same time as oral typhoid vaccine. Human Normal Immunoglobulin (HNIG) may interfere with the immune response to live vaccines and so should not be administered simultaneously. A live vaccine should ideally be given three weeks before or three months after an injection of HNIG. However, HNIG is unlikely to contain antibodies to the yellow fever virus and so they can be administered simultaneously. Oral polio vaccine when given as a booster can also be administered simultaneously with HNIG. Travellers' diarrhoea (TD) is a condition characterised by a marked increase in the frequency of unformed bowel movements and is commonly accompanied by abdominal cramps, urgency, nausea, bloating, vomiting, fever, and malaise. It occurs in up to a half of European travellers who spend two or more weeks in developing parts of the world and should therefore be taken seriously. Episodes of TD usually begin abruptly, occur during travel or soon after returning home, and are generally self-limiting. The onset of TD is usually within the first week of travel, but can occur at any time during the visit and even after returning home. The most important determinant factor is the destination of the traveller. High-risk destinations include most of Latin America, Africa, the Middle East, and Asia, where attack rates of up to 50% have been reported. TD is slightly more common in young adults than in older people but attack rates are similar in men and women. It is possible for travellers to experience more than one episode of TD during a single trip but rarely is it life threatening. TD is usually acquired by ingestion of faecally contaminated food or water, or both. Both cooked and uncooked foods may be implicated if they have been improperly handled. 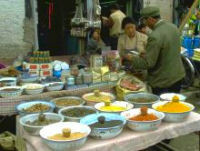 The place in which food is prepared appears to be an important variable, with private homes, hotels, restaurants, and street vendors are listed in order of increasing risk. Particularly risky foods include raw or undercooked meat, poultry, seafood, raw fruits and vegetables. 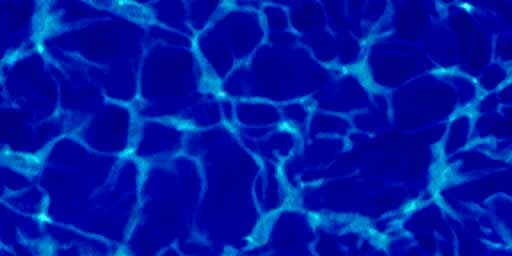 Tap water, ice, and unpasteurized milk and dairy products are also associated with increased risk of TD. In the UK, we drink water straight from the tap and rarely consider that the water may be the source of disease but when the cleanliness of a water supply is in doubt, only adequately purified water should be drunk. Worldwide, unsafe drinking water is a major problem. However, international travelers should not become hysterical about avoiding all water whilst traveling abroad. 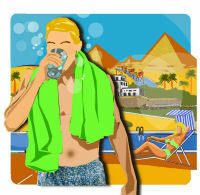 Most of the general information sites for travelers recommend to avoid drinking water anywhere abroad. But to avoid water where it is safe, could be as annoying, as dangerous to drink it where is not safe. No vaccines are available and none are expected to be available in the near future that are effective against TD. The use of prophylactic antibiotics is not recommended for travellers since there is little evidence to show that they are widely effective in preventing TD and there are potential drawbacks which include include allergic and other side effects and the possibility of developing resistance. Our intestinal flora are thought to play an important role in protecting us against infection and managing immunity. They also provide specific enzymes needed to digest particular substances in the diet. Many digestive health problems including TD can escalate as our fragile intestinal flora is disturbed by the environmental and dietary changes associated with foreign travel. Travellers can minimise these digestive health risks by departing with a well balanced and healthy intestinal flora and by maintaining this protective shield throughout their travels. Probiotics specifically developed for travellers are an effective means to ensure a healthy and well balanced intestinal flora by strengthening the healthy balance of friendly bacteria in the gut and enhancing its protective capacity and by selectively binding to harmful bacteria and flushing them out. However, most evidence shows that meticulous attention to hygiene during food and beverage consumption can greatly decrease the likelihood of developing TD. Many travellers, however, encounter difficulty in observing these restrictions. Unless you are sure of the purity of the water supply, don't drink it. This also applies to water used for ice-cubes and for cleaning teeth. Water from sealed lid bottles is usually safe, as are hot tea and coffee, fizzy drinks, beer and wine. Take care with local cheeses and ice cream. Boil unpasteurised milk before use. Cook meat thoroughly and eat while still hot. Avoid leftovers. Fish and shellfish may be hazardous even if well cooked. Take local advice, but avoid seafood if in doubt. Eat only cooked vegetables and avoid salads. Peel all fruit, including tomatoes. Avoid food exposed to flies. Wash all dishes and cutlery in clean, hot water. Wash your hands thoroughly before eating or handling food, and always after using the toilet. Travellers with TD have two major complaints for which they desire relief; abdominal cramps and diarrhoea. 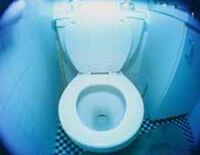 Most cases of diarrhoea are self-limiting and require only simple replacement of fluids and salts lost in diarrhoeal stools. This is best achieved by the use of oral rehydration solution such as Dioralyte, Electolade, Rehidrat, or similar, which is available in sachets of powder at stores or pharmacies in almost all countries and must be prepared by adding the contents of a sachet to boiled or treated water. The instructions should be checked carefully to ensure that the powder is added to the correct volume of water. This solution is appropriate for treating as well as preventing dehydration and should be consumed or discarded within 12 hours if held at room temperature or 24 hours if kept refrigerated. If sachets of ORS are unavailable or you have run out, an emergency alternative can be made up using eight teaspoons of sugar and one teaspoon of salt added to one litre of safe, drinkable water. Travellers should be advised to avoid iced drinks and non-carbonated bottled fluids made from water of uncertain quality. Milk can aggravate diarrhoea in some people and travellers with diarrhoea should avoid it. Such as loperamide and codeine come in convenient dosage forms and provide prompt symptomatic but temporary relief of uncomplicated TD by inhibiting intestinal movements. They slow down the motility of the gut and increase fluid absorption by normalising the transit through the gut and restoring normal stools. They also diminish diarrhoea and shorten its duration thereby reducing fluid loss at the same time. Antimotility agents relieve discomfort and social disruption and are safe and effective for otherwise healthy adults. They are best used when sanitary arrangements are difficult such as a long journey. Self medication with antimotility agents is appropriate following sudden onset of increased bowel action with loose watery stools in persons over 12 and under 75 years of age who were previously in good health and not suffering from any other serious illness. However, they should not be used by people with high fever, with blood in the stools, or if there is vomiting and dehydration. They should be discontinued if symptoms persist beyond 48 hours or they could make the illness worse. travellers who develop severe and prolonged diarrhoea especially if associated with nausea, vomiting, abdominal cramps, fever, or blood in the stools, would benefit greatly from antibiotic treatment. Nausea and vomiting without diarrhoea should not be treated with antibiotics. The most likely antibiotic regimen to be effective against enteric bacterial infection is ciprofloxacin (500mg taken twice a day), whilst metronidazole (800mg taken three times a day) is usually effective against protozoan infection. There is no antibiotic treatment effective against viral infection. The biggest problem facing the sufferer is being able to accurately diagnose the cause which is virtually impossible without medical training. Since the symptoms of bacterial infections develop much more rapidly than protozoan infections it is safe to assume that a sudden onset is a bacterial infection. However, medical assistance is not always available and the sufferer must decide whether or not to be treated using available antibiotics.